How do Average Care Home Fees Compare to Home Care Costs? Deciding how best to provide care for yourself or for someone close to you can be a source of great anxiety, especially when that need for care is first recognised. Some care options are often perceived as expensive, but that doesn’t mean that all of them are. A well–run residential home can provide excellent care and support but all residential care comes at a high cost, regardless of quality. Care or nursing home costs need to be considered very carefully, especially because moving into residential care is often an irrevocable option. The Which Elderly Care 2016/17 report states that residential care costs an average of £31,200 per person per year. In comparison, Home Instead’s high quality, relationship-led services, costs on average £11,000 per person, per year. Home care can be a service you pay for at your choosing. You decide the level of care and support you need, for as long as you want it – you pay for dedicated one-to-one care rather than paying a care home provider to fund care shared across many individuals. When looking at it that way and seeing the average care home costs, home care makes for a better choice for your loved one. Our experience is people want to stay in their own homes, in the surroundings they know and love, for as long as possible, and we are able to support this through our unique approach to care and support. 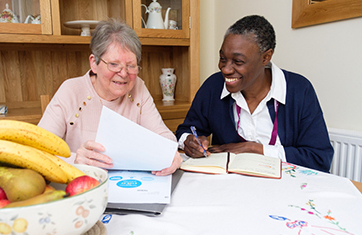 Since 2006, we have demonstrated in the UK that excellent Home Instead care, which truly enhances the lives of those we look after, is within reach of many who felt that their only option was residential care. 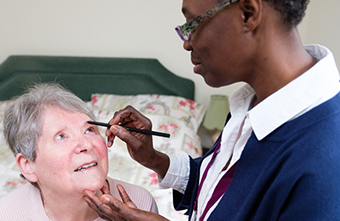 Find out more about the difference between home care and residential care. If you’d like to know more about our services and costs, book a free consultation with us to see how we could support you with outstanding care. Sometimes care may be funded in full or in part from your local authority depending on your personal circumstances. We can offer advice about funding support or the Money Advice Service is a great place to find out more information about care funding. For individuals that are considering care options, the financial implications of care can be a major worry. However, we have lots of information on the cost of home care to help put your mind at ease.